Wildlife Mississippi, the Mississippi Land Trust, the Mississippi River Trust and Yale University have partnered with the Walton Family Foundation to develop a website to assist private landowners in Mississippi and throughout the Lower Mississippi Valley in making conservation decisions based on economics. By using the Conservation Finance Center website, a landowner can make a comparative financial analysis of land uses to visualize the economic results of undergoing certain conservation practices such as restoring or protecting a forest or establishing vegetative cover on highly erodible land. Landowners can also learn about donating a conservation easement to preserve natural resources values and restrict certain land uses. 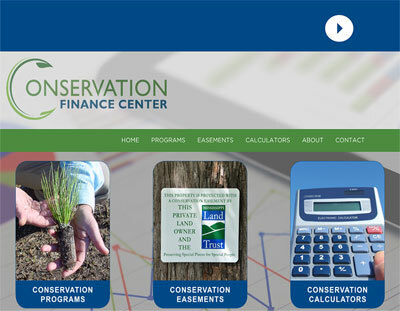 The Conservation Finance Center website has two Conservation Calculators for analyzing options for enrolling land in a Wetland Reserve Easement or the Conservation Reserve Program. The website also offers descriptions of conservation incentives and easement programs and how they can benefit bottomland hardwood forests and wetlands, longleaf pine forests and native prairies.